One of the greatest finds in recent memory, Hall is one of the finest old Southern apples ever grown. It originated sometime from the late 1700’s to the early 1800’s on the farm of a Mr. Hall of Franklin County, North Carolina. It is believed that Magnum Bonum, another fine old Southern variety, was grown from seeds of Hall in 1828. 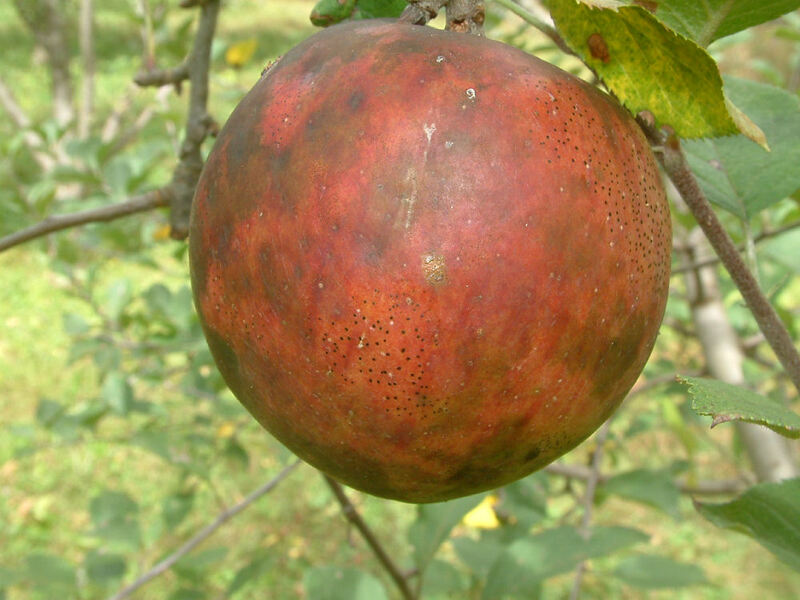 Although it is an outstanding apple with exquisite flavor and great keeping ability, Hall fell from favor due to its small size which could not compete with the public’s bias toward large apples. Credit and recognition must be given to the venerable apple hunter and collector, Tom Brown of Clemmons, NC, who rediscovered Hall in the mountains of North Carolina in the summer of 2002. Fruit is small and roundish to slightly conical in shape. Skin is smooth and thick, yellow covered with clear or dull red. The yellow flesh is tender, juicy, fine-grained, aromatic with a terrific flavor with hints of vanilla. Ripens late fall and is a good keeper. Hi, Do you have any Hall apples or trees?